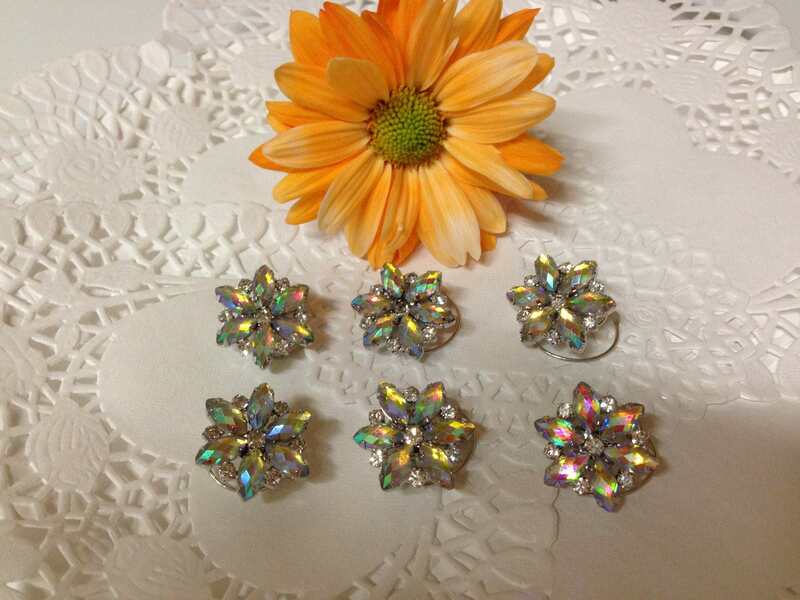 This listing is for a gorgeous set of 6 Hair Swirls shaped like a flower. You could also call them stars or snowflakes and they are beautiful. I wish the picture did them justice. I will keep trying for a better picture but you won't be disappointed in these Hair Spins. Each flower is 25mm or about 1 inch across. 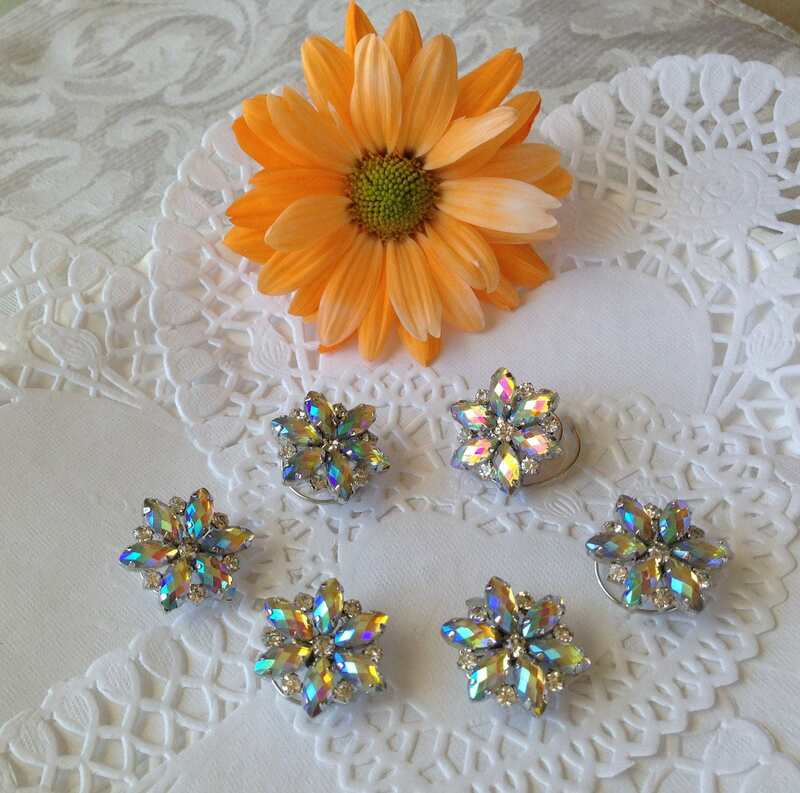 They are a little larger than most of my hair jewels but they are very light weight. These hair swirls would be perfect for an updo for a pageant girl. 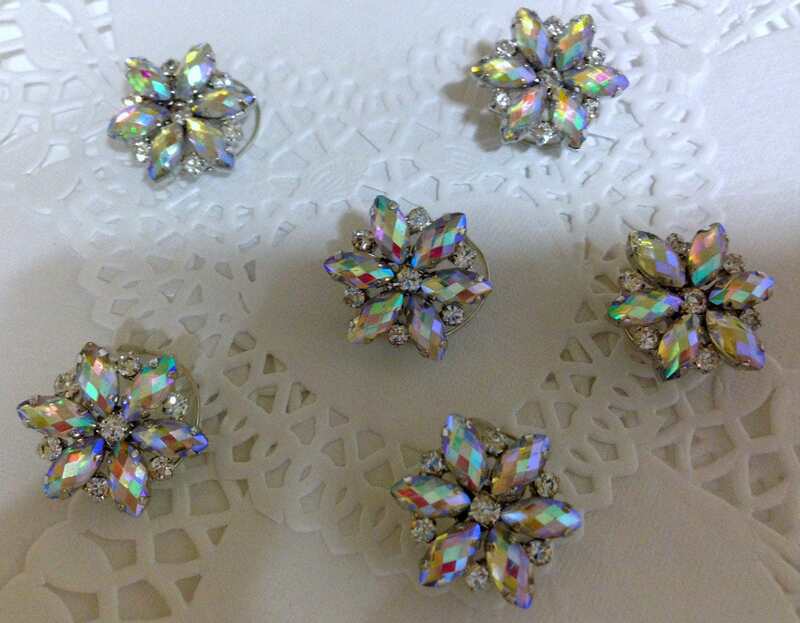 Each star flower has aurora borealis rhinestone petals with sparkling clear tiny round rhinestones in between each petal. 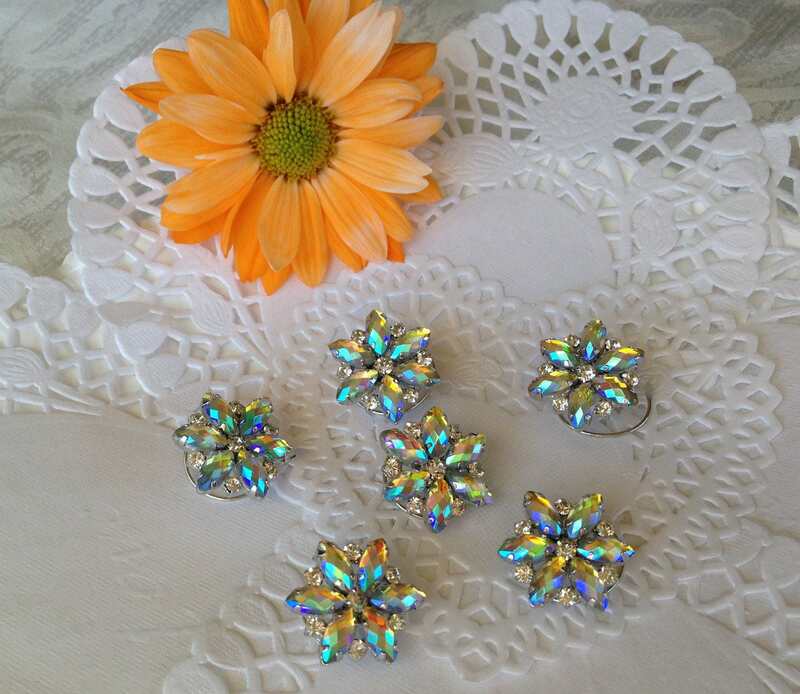 If you don't know what aurora borealis is it is a finish put over clear rhinestones to give them a rainbow finish as light hits them. They are beautiful. 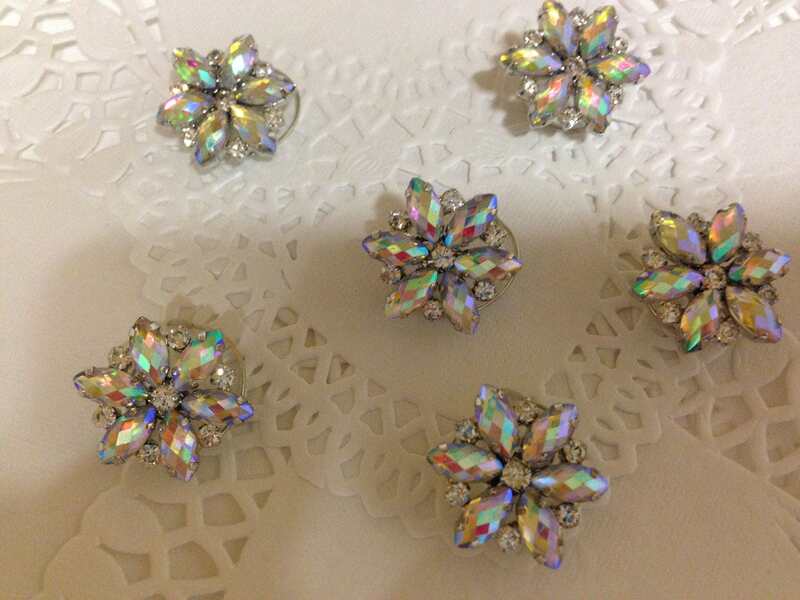 This set of hair swirls would be perfect for a Bride, Ballroom Dancer, Ice Skater, Pageant Girl, or Debutante.